Spring Airlines ''737 Campaign'' January 7, 2017. Spring Airlines ”737 Campaign” January 7, 2017. 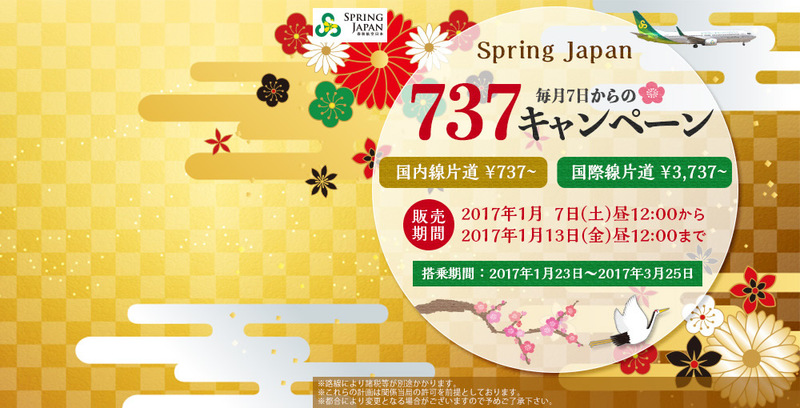 Spring Airlines is holding “737 campaigns” from January 7, 2017. Sale period：January 7, 2017 at 12:00 p.m. − January 13, 2017 at 12:00 p.m.
Boarding period：January 23, 2017. − March 25, 2017. This is the first sale in the year 2017. Spring Airline will continue this super cheap sale to be held on this 7th of this month this year. 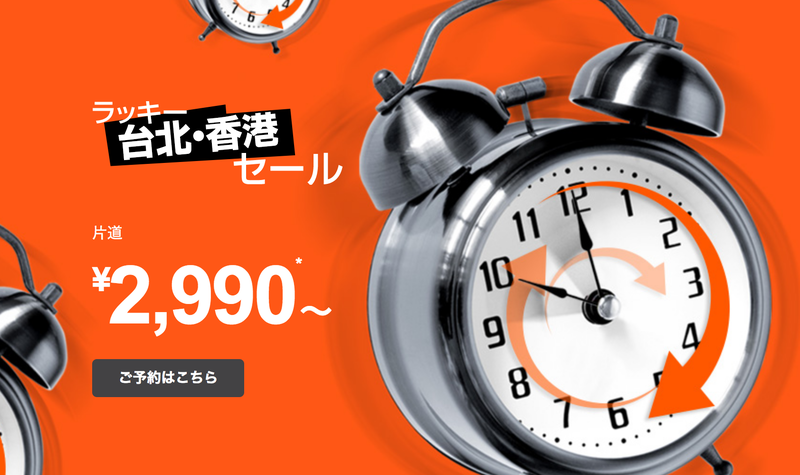 Sale reservation is only from the campaign exclusive page of the official website. 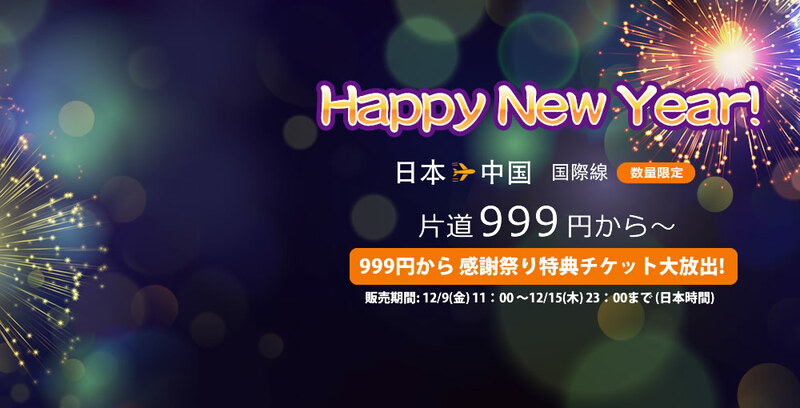 2017.01.19 Spring Airlines ”999 Campaign” Jan 19, 2017. 2017.01.08 Spring Airlines ”737 Campaign” January 7, 2017. 2016.12.07 Spring Airlines ”737 Campaign” December 7, 2016. 2016.11.22 Spring Airlines ”A First come, first served campaign!” November 22, 2016. Hong Kong Express Airways ”March Special sale” Jan 3, 2017.